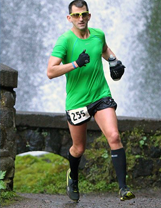 "I use Icespike in my road shoes for Traction on all my Training and Trail Races. I need absolute High Stability to stay healthy and safe." Icespike will not damage the sole of your shoes or boots! The Icespike system has no bulky attachments. Powerful traction is achieved by installing the patented spikes directly to the sole of any shoe or boot. Spikes may be removed with no impact on sole. Icespike is not just for ice and snow. It is the most versatile, year-round traction system on the market. Icespike creates stability on mud, rocks, slick roots and ruts, loose gravel and can transition from dry pavement to any condition. You don't even know you're wearing them! Icespike adds no additional weight, doesn't affect gait and helps prevent muscle fatigue and injury associated with other traction devices. No need to slow down and pick your way through treacherous terrain. Icespike is specifically engineered for extreme hardness and long-lasting integrity of grip. Icespike provides unsurpassed traction and stability - a Premium product of the USA. Be comfortable and confident with Icespike! Are you concerned about encountering icy patches on the road ahead or risky winter trail conditions? ICESPIKE™ outfitted shoes and boots allow you to safely make the transition from normal conditions on passable roadways and paths to slippery or icy areas with ease and safety! 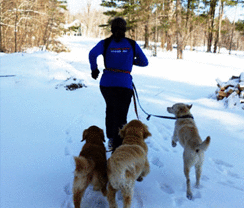 ICESPIKE™ is for runners who want to keep their winter training on track and outdoors. 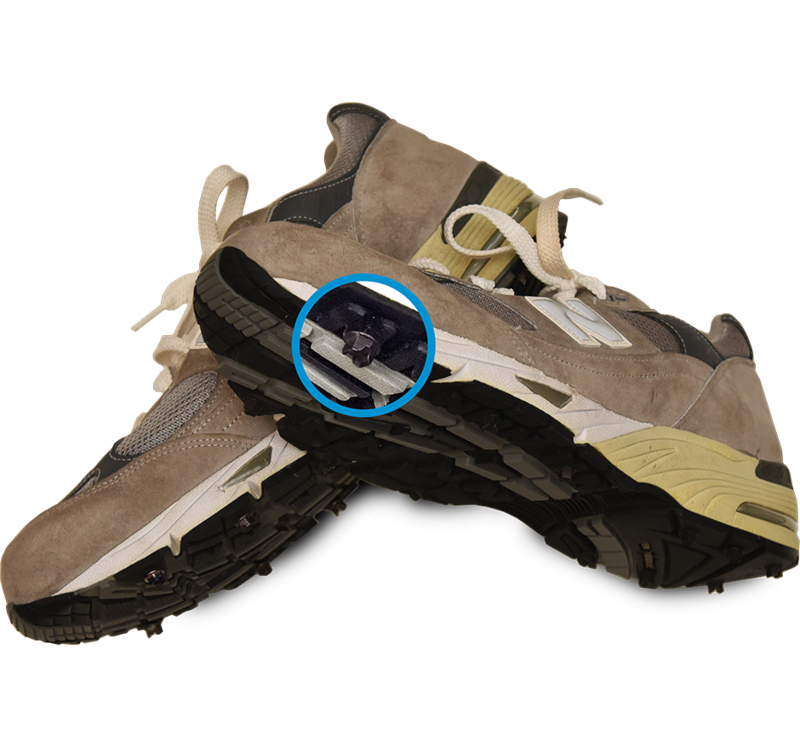 With ICESPIKE™ you have shoes with running cleats without the additional pressure on the top of the foot or the extra bulk underneath the shoe associated with traditional strap-on traction devices. ICESPIKE™ creates non-slip running shoes with unparalleled traction on ice and snow. When your winter running shoes are outfitted with ICESPIKE™, you retain your natural feeling of freedom and range of movement! The ICESPIKE™ system is so lightweight and effective you don’t even know you’re wearing them! ICESPIKE™ is the only traction system light enough to put in 20+ mile long runs without causing injury, muscle fatigue or alterations in running gait. Using "screw shoes"? 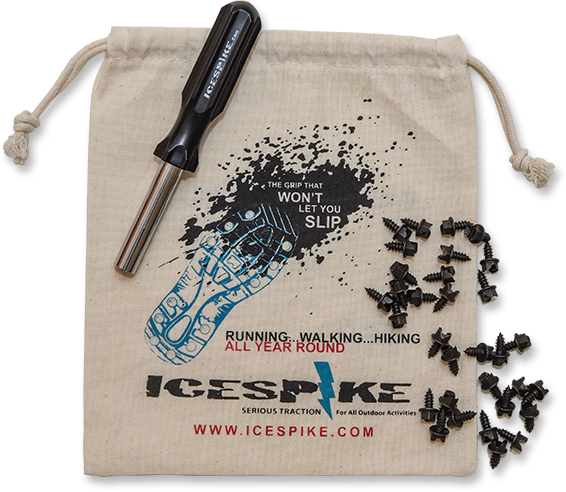 ICESPIKE™ makes these far superior upgrades: ICESPIKE™ ice spikes are 10 times more durable, have researched layout pattern for proper gait and engineered design for extreme traction. Simply installing ICESPIKE™ ice spikes on the sole of any shoe creates an ice running shoe, ice walking shoe, or ice hiking boot that is unsurpassed in safety and durability by any other product. The long-lasting hardness and integrity of the grip of ICESPIKE™ ice spikes has no equal. 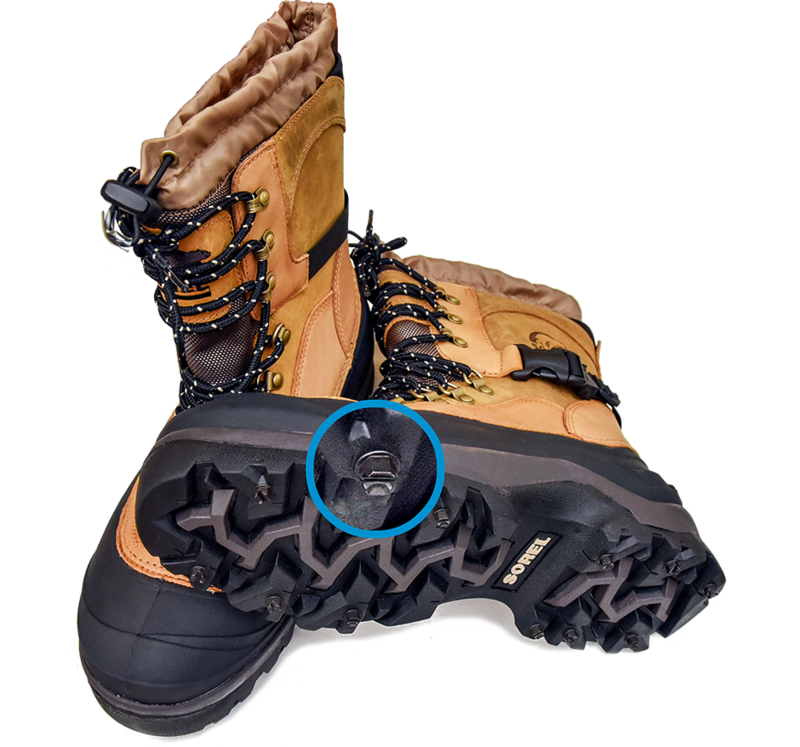 Our cold-rolled, tool quality steel of the ICESPIKE™ shoe system ice spike will outlast your shoes, yet still can be removed at any time using the ICESPIKE™ installation tool. ICESPIKE™ ice cleats for shoes will not impact the sole of the shoes. 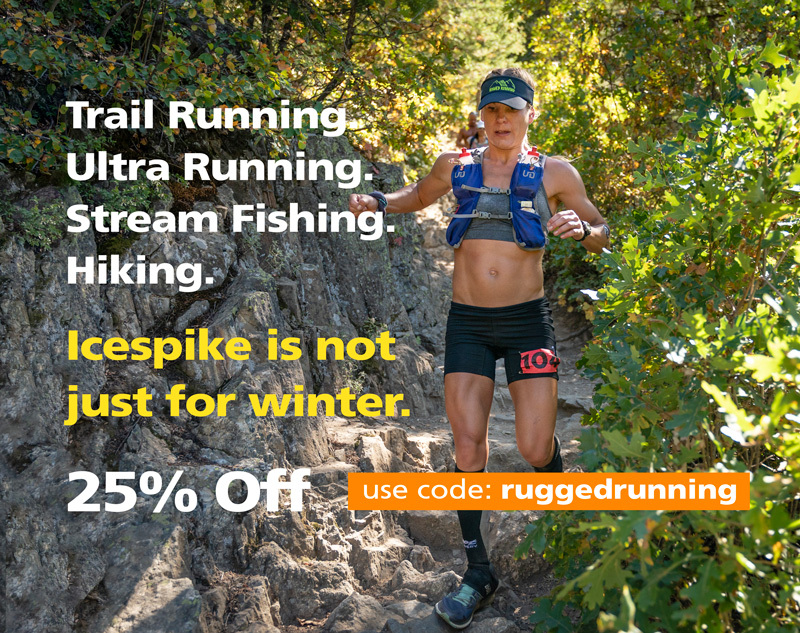 "ICESPIKE™ is like sheet metal screws on STEROIDS"
ICESPIKE™ is for walkers, hikers, and trail runners who want to enjoy the outdoor beauty of winter and need footwear traction. Any footwear can be converted into non-slip walking shoes, non-slip hiking boots, or winter trail running shoes with ICESPIKE™. 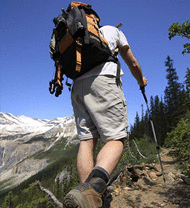 Having ICESPIKE™ on your winter walking shoes gives you peace of mind on the most treacherous terrain. 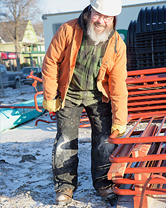 ICESPIKE™ is a must-have for outdoor workers. 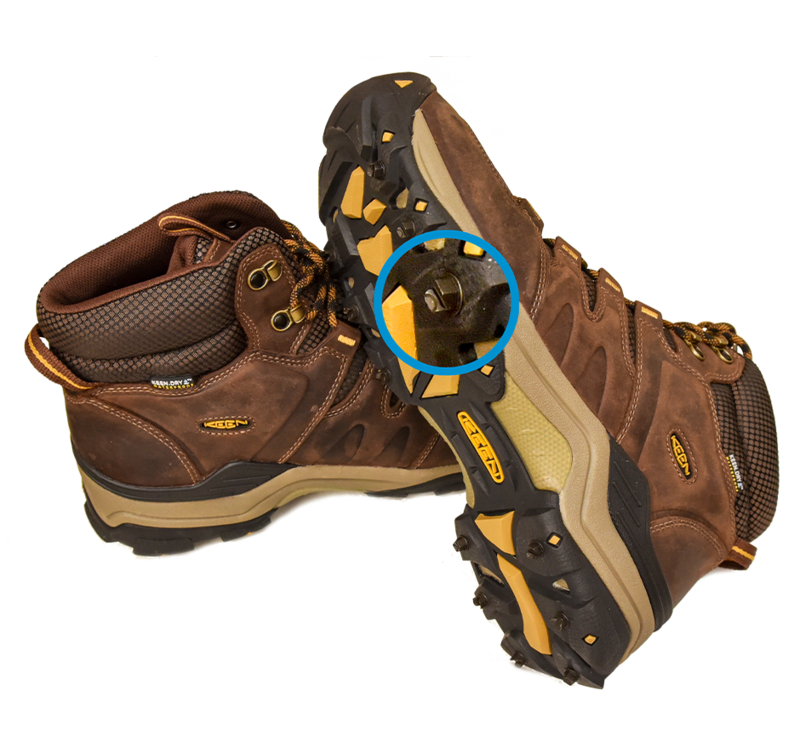 Installing ICESPIKE™ on work boots and work shoes creates ice safety boots and ice safety shoes to help avoid on-the-job injuries. 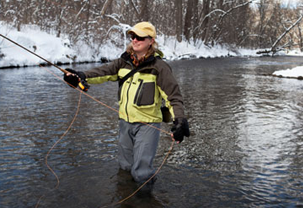 ICESPIKE™ provides extra protection for outdoorsmen who need non-slip grip boots for hunting, ice fishing and fly fishing waders, snowmobiling and ice boating. When stability is essential, you need the non-slip traction of ICESPIKE™. 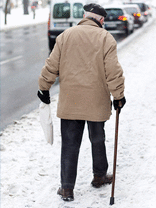 ICESPIKE™ is essential for Senior Safety! Where strap-on devices are difficult for seniors to manage on a daily basis, ICESPIKE™, a one-time installation, insures that their shoes and boots are always ready. 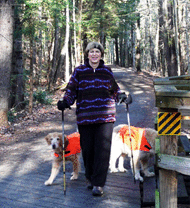 Seniors and their families have less worry about dangerous falls. ICESPIKE™ ice cleats give you the best winter traction and the freedom and security to participate in any winter outdoor activity. ICESPIKE™ is a premium product made and packaged in the USA. Install ICESPIKE™ and install CONFIDENCE!